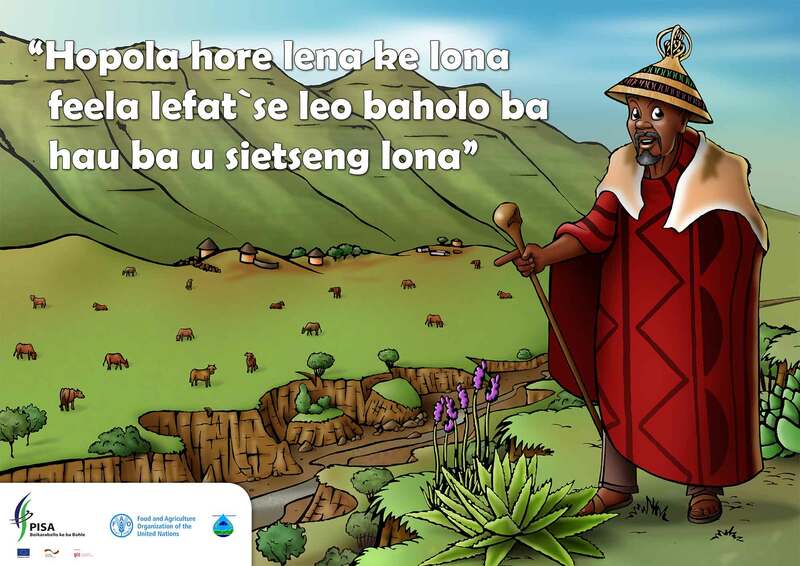 As one of its entry points to enhancing social accountability in Lesotho, PISA provides civic education to strengthen citizen’s knowledge, awareness, skills and motivation to participate in democratic processes and development initiatives. PISA provides Information, Education and Communication (IEC) in the form of trainings, workshops, public gatherings and information dissemination through mass media and social media. PISA works on core civic education topics (like democracy and governance), as well as on developmental issues (like gender equality, HIV and climate change). The rationale for working on developmental issues is two-fold: public participation can best be mobilised when dealing with issues that concern people’s everyday lives and also, citizen’s rights and responsibilities are best demonstrated through practical challenges. 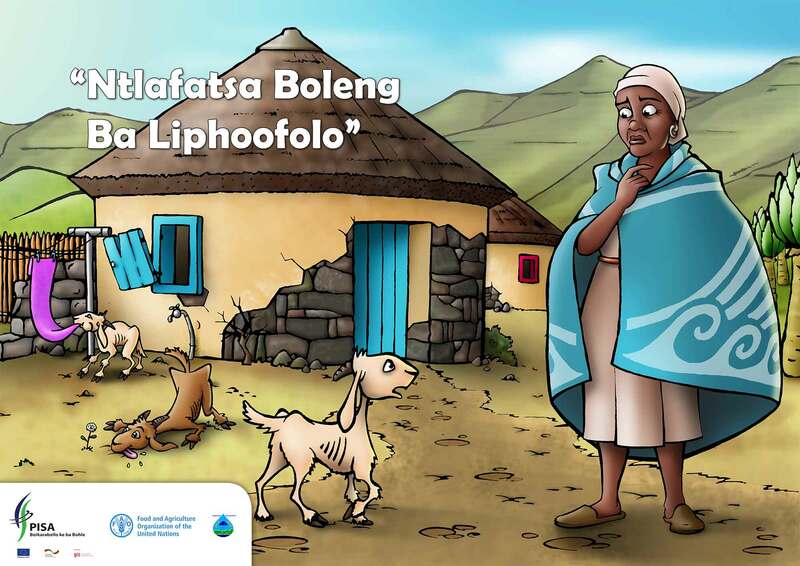 PISA’s slogan “Boikarabello ke ba bohle” (Responsibility is for all of us) points to the importance of promoting Basotho to fulfill their responsibilities as citizens and take part actively in development. 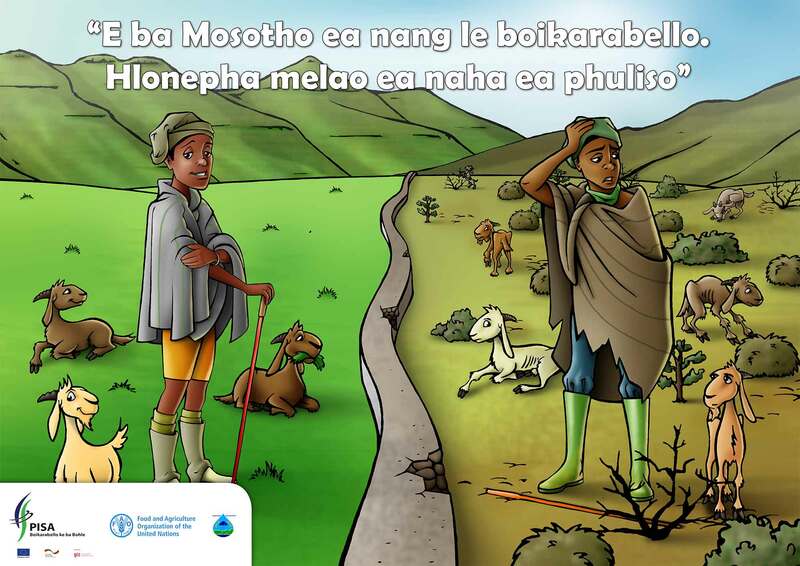 Lesotho is experiencing an on-going and in some places, rapid environmental degradation with the experience of depletion of soil quality and quantities and far-reaching negative effects for the livelihoods of the communities locally and long-term consequences for water security in Lesotho and the Southern African region.. Quality deteriorates with above average extraction of biodiversity, the bulk of which happens as a result of over-grazing palatable or preferred plants by livestock and denial of necessary nutrients through over-resting plants that are not eaten by livestock. This scenario is a product of prolonged “Randomized Grazing” that is practised by farmers and their herders. Solutions to this problem lie in the promotion and enforcement of rotational herding patterns (high-density grazing) that allow the land cover to recover, thus protecting grazing pastures and wetlands, reducing soil erosion, and safeguarding the water sources. The overall objective of the campaign is to create awareness about the problem of overgrazing among livestock farmers, herders and stakeholders by disseminating environmental utilitarian messages. This shall cause a change of, transform behaviour and attitude of the natural resources users to adopt actions that will lead to healthy environment that will sustain communities’’ livelihoods and protect the water resources.